Jane Austen was born in the small village of Steventon in Hampshire on 16th December 1775. She was the seventh of eight children and throughout her life was especially close to her only sister, Cassandra. Jane never married and only once, very briefly, was engaged. In 1814, giving advice to a niece, and echoing Jane Bennet in Pride and Prejudice, she wrote, "Anything is to be preferred or endured rather than marrying without affection." She was 36 before her first novel was published and during her lifetime she made little more than £700 from her writing. Her novels, however, have proved enduringly popular, and since 1833 have never been out of print. Jane became ill in 1816 and died in the arms of her sister on 18th July 1817. She was 41 years old. Cassandra wrote, "I have lost such a sister, such a friend as can never have been surpassed... She was the sun of my life." 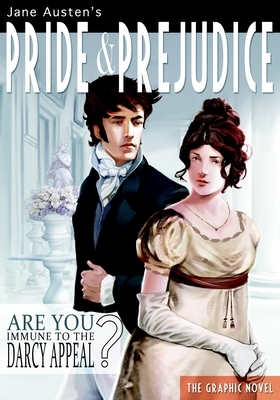 Four of Jane's novels were published during her lifetime: Sense and Sensibility (1811), Pride and Prejudice (1813), Mansfield Park (1814) and Emma (1816). Northanger Abbey and Persuasion were published posthumously in 1818.